A group of self-described geeks is pressuring the country’s premier fan convention to crack down on sexual harassment. 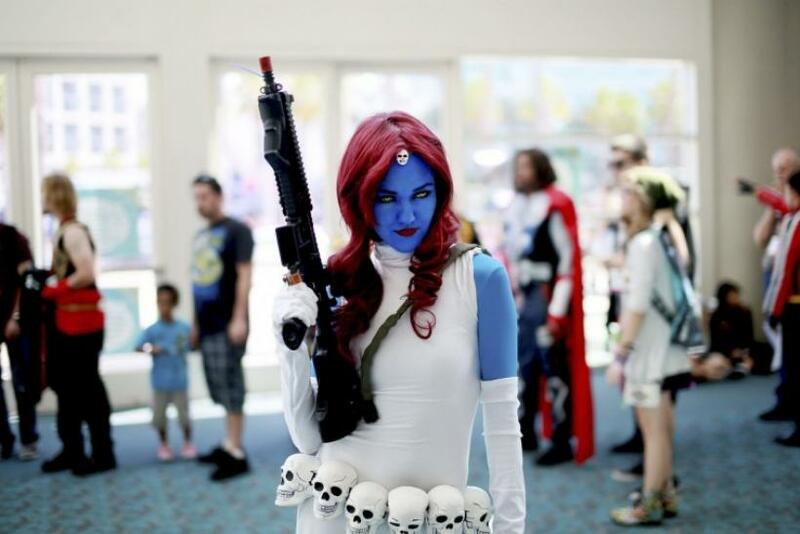 For years, costumed attendees -- or cosplayers -- have complained that verbal and physical harassment is all too common at Comic-Con conventions. Fans of comic books, science-fiction or fantasy genres often attend the lively confabs dressed as their favorite fictional characters, but some women attendees say they are too-often subjected to lewd comments, catcalls, groping and creepy photographers who aim lenses at their breasts or up their skirts. The group is also asking Comic-Con to post an anti-harassment policy throughout the convention venue and provide one-hour training for volunteers, teaching them how to respond to harassment reports. But Geeks for CONsent argues that the policy is too vague, and that other events -- Comic-Con Seattle, for instance -- have taken greater steps to protect attendees. At Seattle’s Comic-Con, large signs warning that harassment will not be tolerated and “costumes are not consent” are visibly posted throughout the convention. The Comic-Con controversy is part of a growing discussion around the broader issue of street harassment, which women’s groups say is pervasive in cities and towns across America. Geeks for CONsent’s three co-founders -- Rochelle Keyhan, Anna Kegler and Erin Filson -- are the same activists behind the Philadelphia chapter of Hollaback, the anti-harassment movement that began in 2005 as a photo-blog on which women and girls could post cellphone photos of alleged perpetrators. Hollaback has since grown to include chapters around the world, and it continues to take advantage of the latest mobile technology to allow victims to share their stories. Last year, the group was awarded a $40,000 grant by the John S. and James L. Knight Foundation to develop a mobile app that will allow people to report street harassment directly to authorities. As of Monday afternoon, Geeks for CONsent’s petition had more than 2,600 signatures. The group, which did not respond to a request for comment, said it plans to deliver the petition to the event’s organizers. Watch the group’s video presentation below.